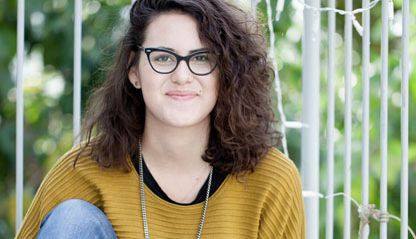 Israel: "I will declare my refusal to serve in the military"
(09.01.2016) My name is Tair Kaminer, I am 19. I graduated of a year of volunteering with the scouts in Sderot. On January 10th, 2016, I will report to the induction base and declare my refusal to serve in the military, and my willingness to do alternative civil service. To this reality, I say enough! There I decided to refuse military service. Because for years there’s no aspiration for a political peace process, no attempt to bring peace to Gaza and Sderot. As long as the violent military way continues, we continue to create generations of hate on both sides that will only escalate the situation. We must stop this! My refusal come from my will to contribute to my society and make this a better place. I am willing to pay a personal price and go to jail, as a clear moral position that I will not take an active part in occupying the Palestinian territories and the injustice towards the Palestinian people under occupation, so not to take part in the cycle of hate in Gaza and Sderot. In conversation with loved ones I’ve been accused of harming the democracy in not obeying state laws. But the Palestinians live under military law. Does this seem democratic to you? I have been told that I am avoiding my responsibility to our security. But I cannot accept the security argument as long as it only really applies to Jews. With the latest wave of terror continues, it is clear that the military does not even protect Jews, because one cannot create selective security. As long as we continue to control millions of civilians under military law, Israel will continue to distance itself from a democracy. Real security will only exist when the Palestinian people will live in dignity and freedom in an independent state alongside Israel. So my refusal is part of the struggle for democracy and security, not of harming democracy and security. We are told that there is no other way other than the violent military way. But I believe that this is the most destructive way, and that there are others. I wish to remind us all that there is an alternative: negotiation, peace, optimism, a true will to live in equality, safety and freedom. We are told that the military is not political, but serving in the military is a political decision with great significance, exactly like refusal. We, the young people, must understand the meanings of this decision in depth. We need to understand its consequences on our society. After I did so, my decision is to refuse. Military prison scares me much less than our society losing its humanity. I do not want to do things I don’t support and then “break the silence” in hindsight. I refuse, and you should also think about it.